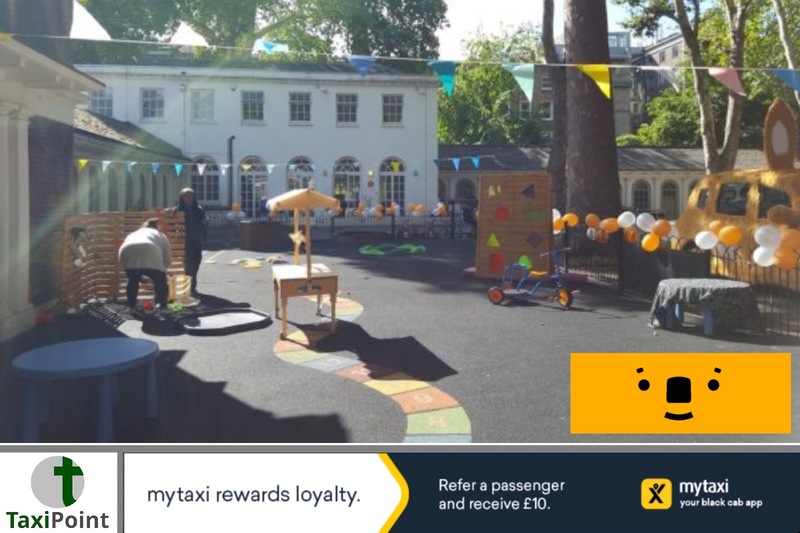 Coram’s Fields announced the official reopening of their nursery playground, after receiving a grant from the London Taxi Drivers’ Charity for Children (LTCFC), formerly known as the LTFUC, for the sum of £18,902. The generous grant has paid for the resurfacing of the outdoor nursery playground with fun, interactive designs painted on the surface and for the purchase of new, mobile educational play equipment, which supports the development of children attending the nursery. Coram’s Fields, situated in Camden, serves as a safe place for all children to have fun and play and is one of London’s most unique and beloved children’s charities.In the economic climate, with reduced funding available, the nursery has been able to cover its running costs, but without additional fundraised income, it could not invest in the nursery’s facilities and resources to maintain the space.On the day, the Mayor of Camden, Councillor Jenny Headlam-Wells unveiled the plaque in memory of the late William ‘Bill’ Tyzack BEM, former LTCFC Life President.